We are bringing back our $20 Thursdays. For a limited time you can play for $20 & Elite Members play for $15! 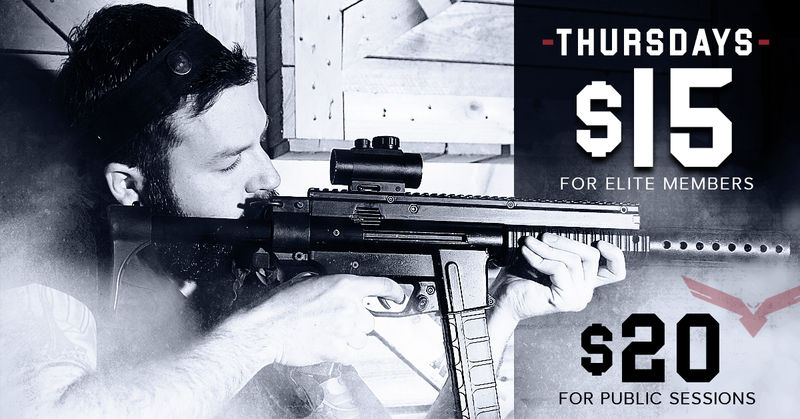 DO NOT miss out on playing the most tactical laser tag in the WORLD for only $20. Get ready, get set, pew pew - see YOU on the battlefield.